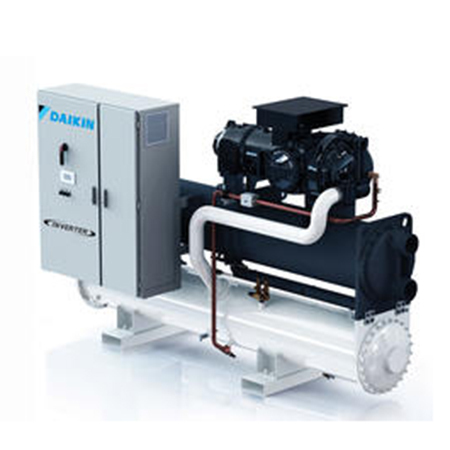 Daikin Applied has launched the new generation of inverter driven air-cooled and water-cooled screw chillers with R-1234ze(E) refrigerant. 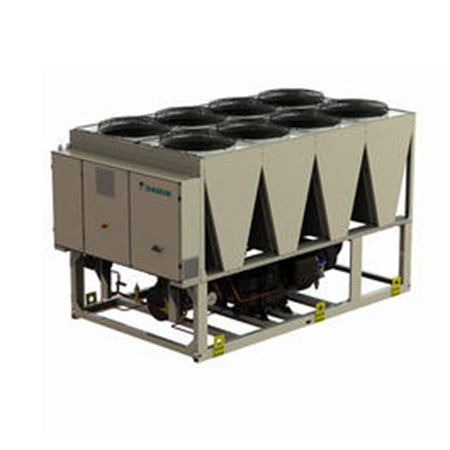 The company have recently launched the TZ air-cooled chiller series and the VZ water-cooled chillder range. The TZ range will be available from 130 kW up to 830 kW cooling capacity and the VZ range will be available from 340 kW to 1600 kW. 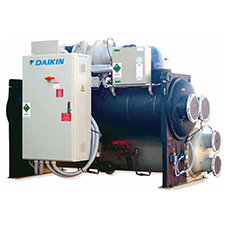 The new range of screw compressor chillers will be equipped with Daikin design inverter driven single screw compressors with Variable Volume Ratio (VVR) technology. 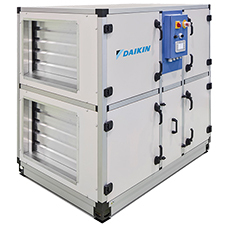 An inverter drive modulates chiller capacity at part load in the most efficient way, while VVR (Variable Volume Ratio) adjusts compressor operation at any temperature conditions. A sliding valve fine-tunes refrigerant discharge pressure to match the operating condensing pressure. In this way refrigerant is compressed to just the right pressure level thus minimizing the energy losses typical of standard compressors designed with fixed volume ratio. Inverter drive for capacity control and VVR for discharge pressure fine-tuning, are working synergistically in order to optimize unit efficiency at any operating condition. Thanks to this superior technology, current Daikin R-134a and new R-1234ze(E) series are already compliant with 2021 Ecodesign efficiency requirements. The introduction of the new R-1234ze(E) range will provide a long-term solution that supports the HFC phase down schedule of the F-gas regulation. 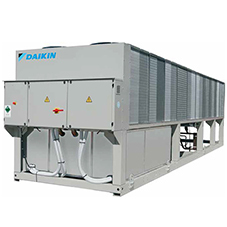 Daikin Applied (UK) Ltd manufactures and supplies applied products for the HVAC community, including a comprehensive range of chillers, AHU systems and fan coils.